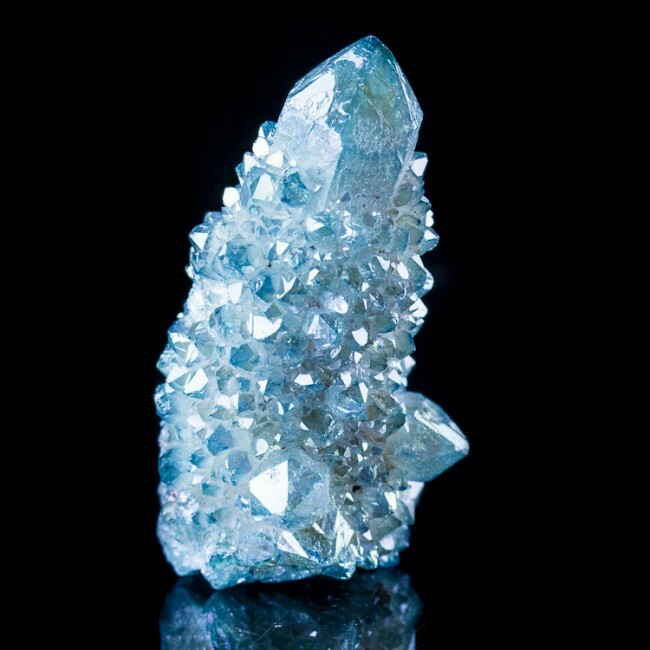 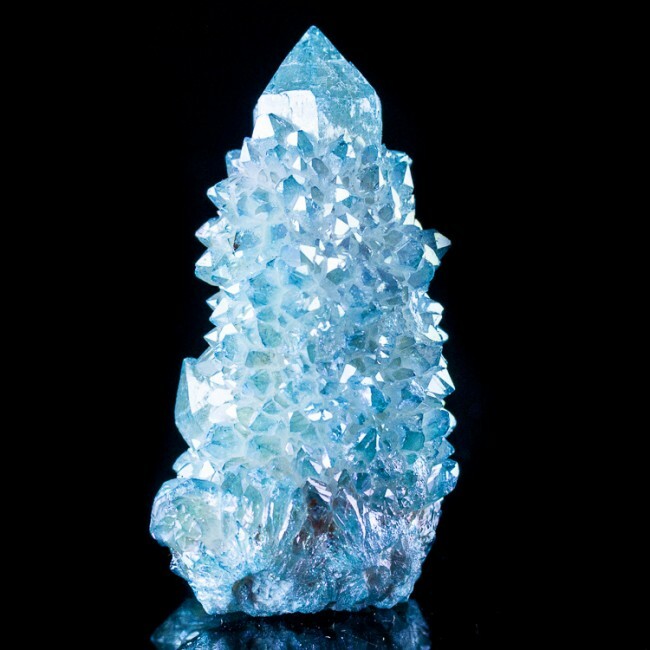 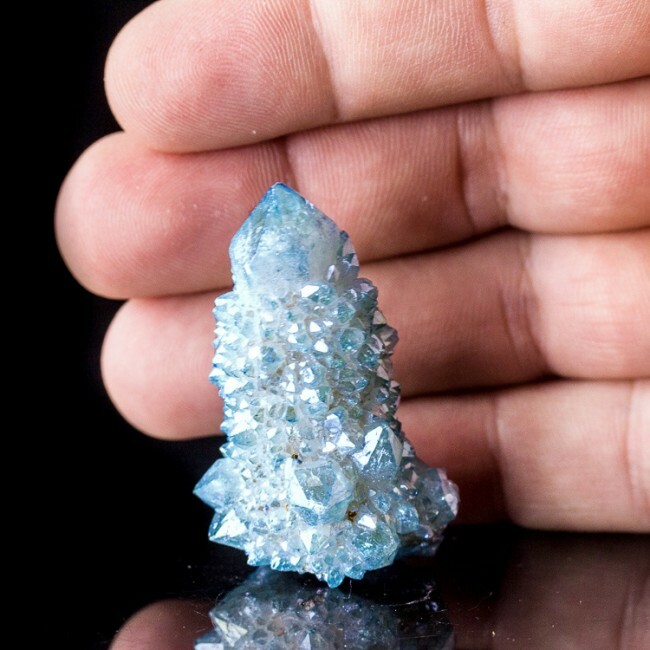 Size 2.0" x 1.1" x 1.0"
Here is a terminated single crystal of spirit aqua aura quartz in a luminous turquoise blue color. 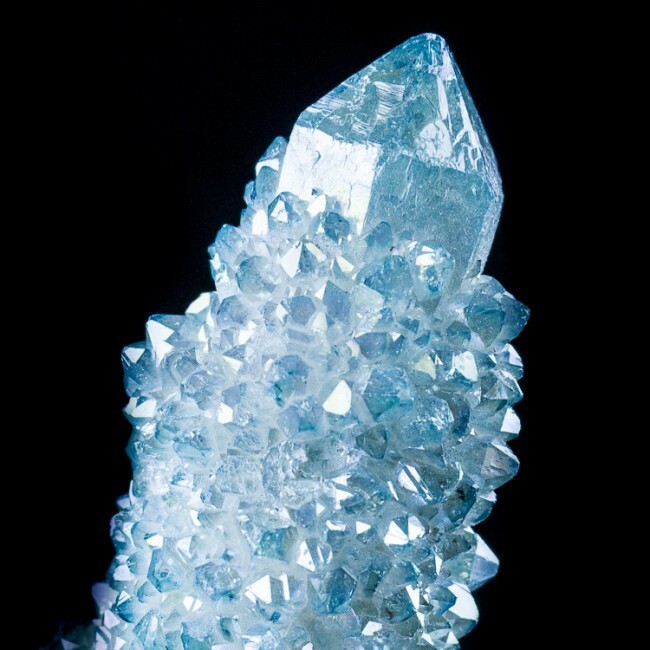 The crystal features a sharp, smooth 6-sided termination, while the sides of the crystal are covered with sparkling iridescent druzy quartz that really catches the light. 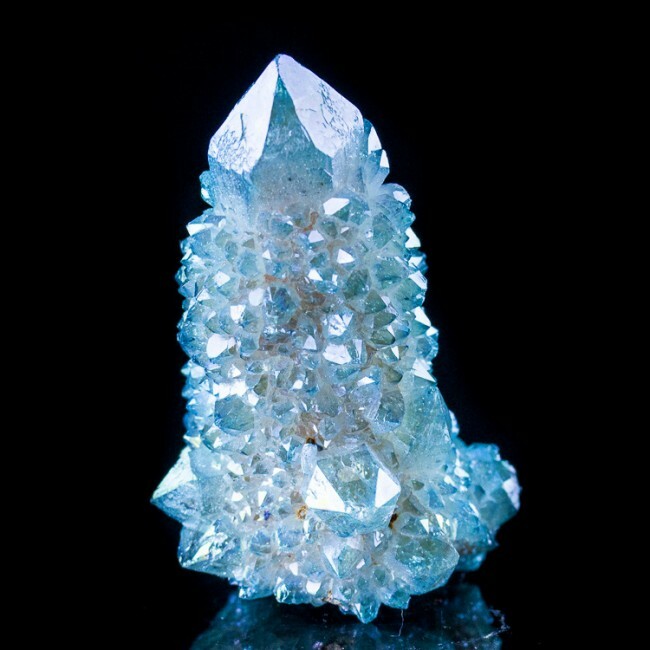 This is a highly aesthetic and dramatic specimen, with no damage. 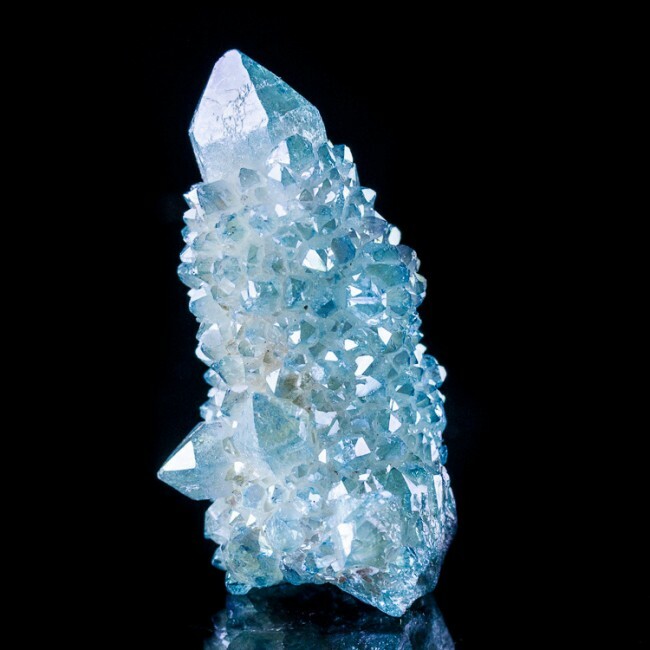 Opalescent aqua aura quartz like this is created by infusing a thin layer of gold onto the outside of quartz crystals.